are you profiting from your website? we can help by starting from scratch and creating a strategic online presence which will tell your company's story and engage your visitors so they can act. contact us and we will analyze your company, discover your goals, and create a strategy to achieve them. 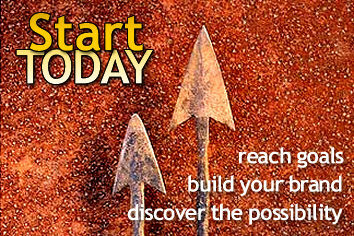 start growing your business today. imagine and create: we handle your web presence, from your domain name to your web hosting so you can concentrate on handling your business. our marketing principles are designed to get your customer's attention - that's why we are your brand communications company - we build your name and image to communicate to your clients that you offer what they love. we start by understanding better than anyone else how people consume communications, then using this understanding to plan the most effective total brand communications programs. this helps us create ideas big enough to work powerfully wherever they appear, and in the end, get you more business. start now and contact clint gillespie to get your business started. learn more about our techniques and experience by reading our expertise, sign-up for our client newsletter with helpful tips on getting more clients and how we do it for you, and view some of our work. bellwether forum. discovering how to target an audience and persuade them to sign up for a training course. ï¿½ copyright 2003 cinnabar and mercury. all rights reserved.